Hehehe...that cookie is almost as big as her head! So cute! 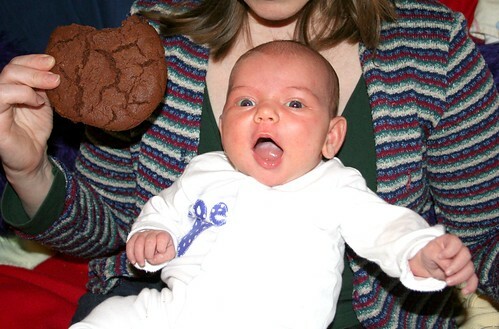 I like the fact the biscuit looks bigger than baby's head! It won't be long before she has a biscuit of her own to smear all over that lovely clean outfit!